In this article, I will explain what AncestryDNA is, what you get by doing the test, and why I recommend it. 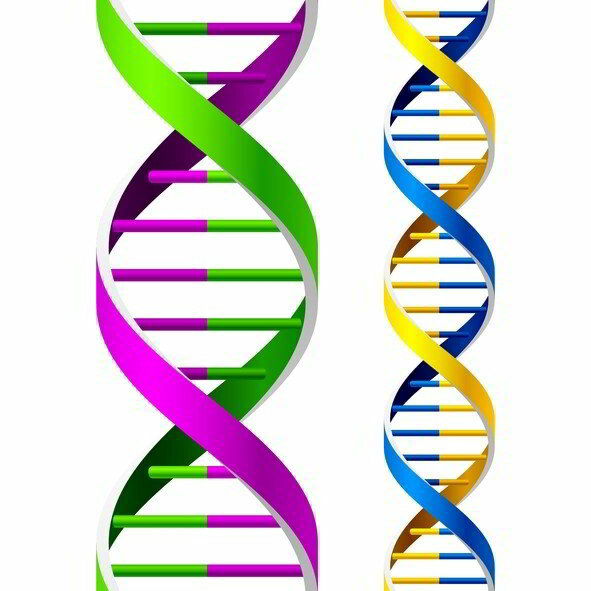 With all the hype over DNA testing as a tool for genealogy research, it is hard to know what is hype and what is not. Let’s start with the basics, AncestryDNA is Ancestry.com’s DNA testing offering. If you are already an Ancestry.com subscriber, you will see a DNA tab at the top of their website. For $99, you can order their DNA testing participation kit, which covers the cost of processing your sample. Once you activate the kit, submit a saliva sample and mail it in, you will need to wait 6-8 weeks before your results are available online. The test is gender neutral, so anyone can take it. Your DNA test will be processed by a third party lab using microarray-based autosomal DNA testing, which surveys a person’s entire genome at over 700,000 locations. One of the main questions people have about DNA testing is what will I get from doing this? First, you will see a breakdown of your estimated ethnicity. This could either reveal ethnicity you never imagined you had or conform to what you already knew. You just never know what you will find until you do the test. For me, it was not much of a surprise that my family came almost exclusively from Europe, but to have it definitively proven through my DNA was worth the price of the test. The real power of AncestryDNA comes in the ability to compare your DNA with other Ancestry.com members who have also taken the test. After all, the goal of genealogy is to find family members you didn’t know you had. Completely separate from the usual method of document research, you can see who most closely matches your DNA. 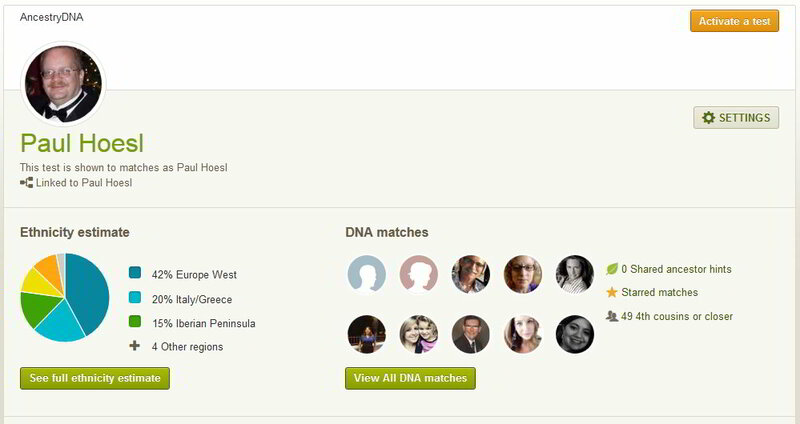 You can review your matches and look at their family trees and see where you are related. Once a match is found, you can often strike up correspondence with them and see if they have information, documents and pictures that would further your research. Obviously, the more people that participate make the odds greater of a match. Also, more matches could materialize as time goes on. In summary, I highly recommend taking this DNA test, even if you only want the ethnicity breakdown. Non-Ancestry.com members can take the test, but its real power lies within the ability to collaborate with your new found family members to further your family research.